There is not much to write about Gurgaon Railway Station. It is a small, nondescript place with just two platforms. To enter the station one has to jostle with the autos and rickshaws. The ticket counter and the adjoining waiting area always look dusty. The people sitting in the waiting area have a patient look about them. I use it because all Rajasthan bound trains have a two minutes halt at Gurgaon. 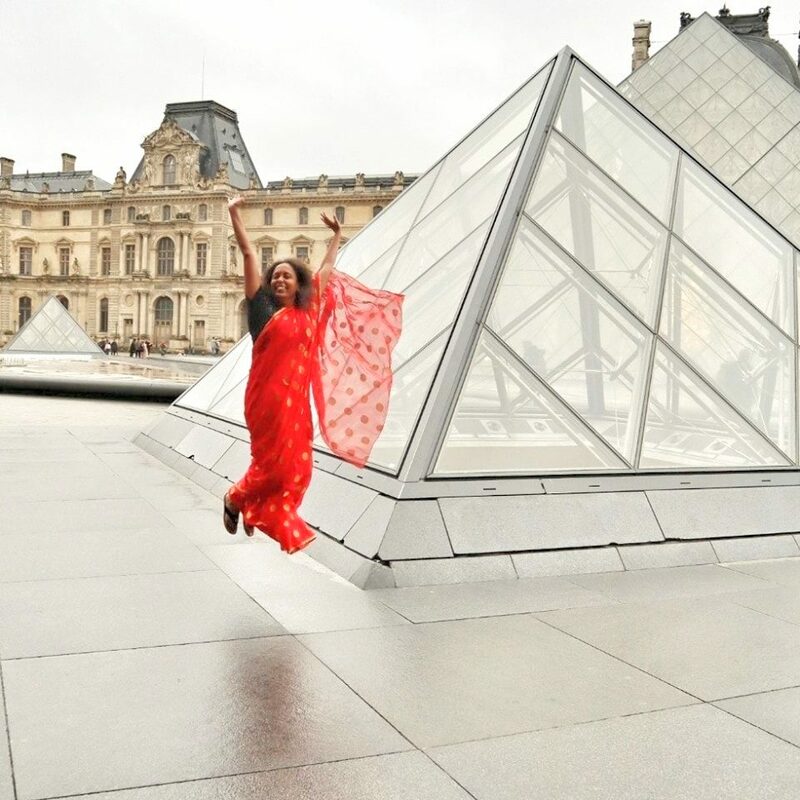 This means we don’t have to go to Delhi to catch the train or to get down. It is a substantial saving on the taxi fare as well as time. I have also seem Ahmadabad Rajdhani Express making a halt at Gurgaon, which makes me believe that Gujarat bound trains also stop here. The Ajmer Shatabdi goes from platform no.1 and comes back at platform no. 2. I am usually there to catch this train. Of course local trains ply on this route too. 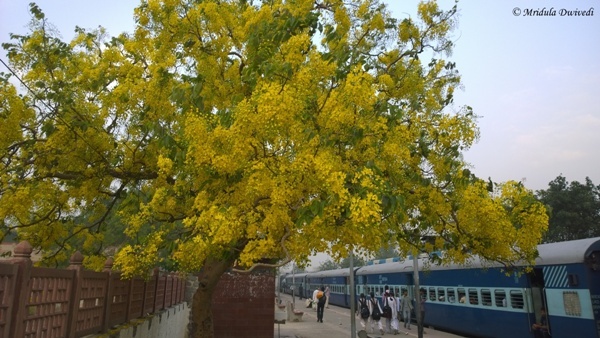 This time when I was catching the Ajmer Shatabdi on a hot summer morning in May, I noticed the Amaltas in full bloom at the Gurgaon Railway Station. It added a dash of color to an otherwise bleak scenario. There is not a bit of color otherwise to be seen. 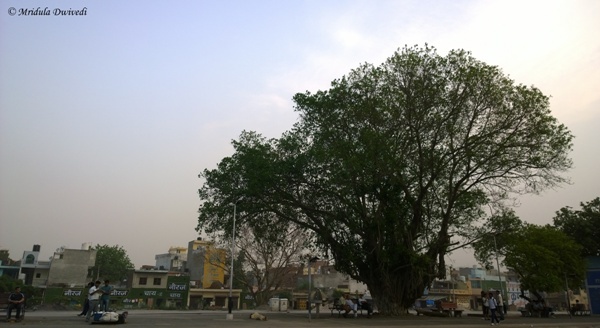 And while I was noticing flowers, I saw the huge banyan tree on platform two for the first time, even though I have been to Gurgaon Railway Station at least a dozen of times! I am wondering if a tree planting drive would make this station a cooler place. I would love to be a part of such a drive but then the mere thought of talking to government authorities gives me shivers. I have seen railway stations like Barog which have lovely flowers and a few trees right at the station. Gurgaon could go the same way, but I have no clue how to initiate such a dialogue.